Our very active board of 11 members and numerous other volunteers carried out a number of membership and community activities. elections, lots of door prizes, great food and fellowship, awarding the tree farmer of the year, and a guest speaker. 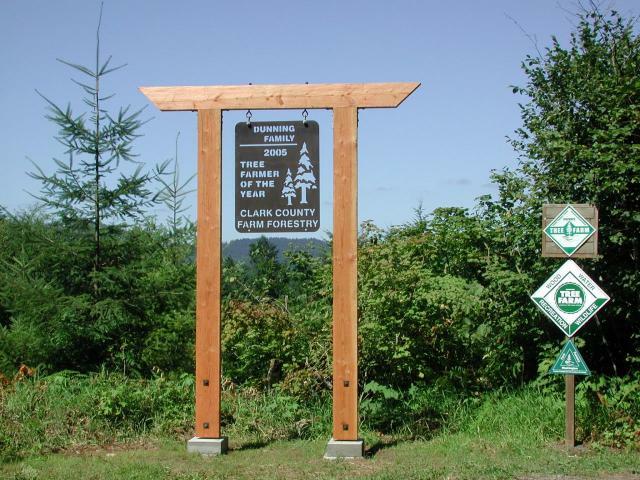 March was our member seedling pick up month whereby we contract grow 70,000 Doug Fir and 10,000 western red cedar for our members at cost - a great incentive to join our chapter! 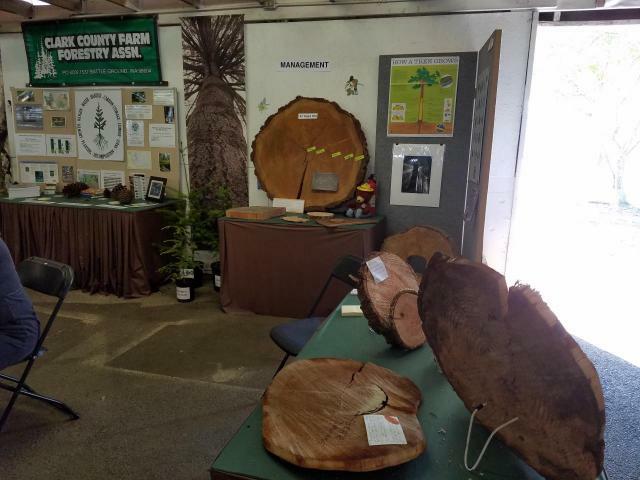 Also in March we had our annual public tree sale selling approximately 12,000 trees to the public. This is our only fund raiser for the chapter and this year we sold out in two and a half hours. 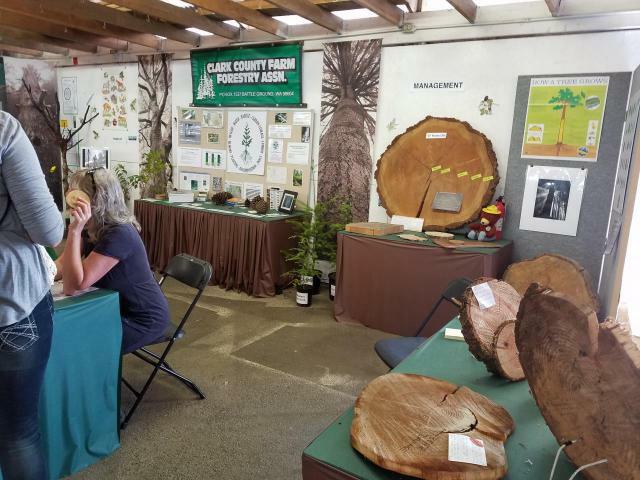 Summer brought the annual summer picnic, traditionally at the Chapter's tree farm of the year - for 2018 this was at Lee and Debbie Levanen's. Several other twilight tours were held on proper and effective use of chemicals, and thinning strategies. We also presented three $1000 college scholarships and supported our local high school forestry programs to go to competitions. Coming soon: 2019 Summer Picnic information and twilight tour schedule! In partnership with the Cowlitz County chapter, we are hosting the 2020 WFFA Annual Meeting. Arrangements are well underway. 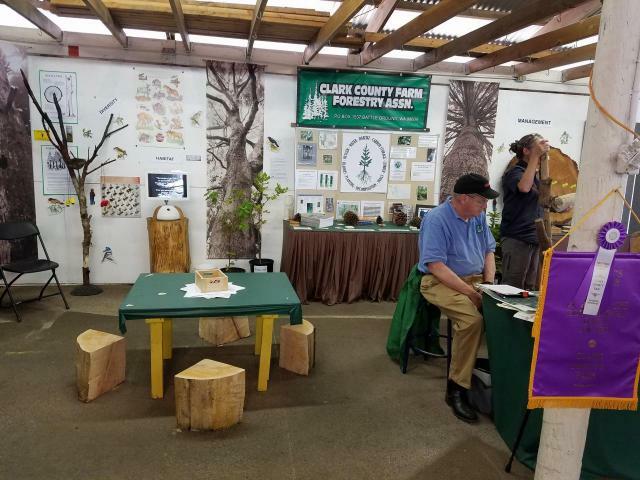 The theme will focus on how to grow better trees and the field tour will be on the Weyerhaeuser Tree Farm in the Mount St Helens blast area to see how their forests have recovered 40 years after the event. The scholarship committee is now accepting applications for 2019 scholarships. Contact Betty Davenport at [email protected]. Every second Tuesday at 7:00 pm at the Battle Ground Senior Center.